Create WOM (word of mouth) buzz and demand for both One Eleven & The Brownstones residences with target demographic (25-35 year olds seeking affordable housing in downtown Baton Rouge). Commercial Properties Realty Trust began in 1951 as a retail development company formed to primarily acquire, own, lease and manage neighborhood and community shopping centers. By 2007, it had become a real estate investment trust (REIT) and, as an affiliate of the Baton Rouge Area Foundation, a highly respected organization responsible for dynamic community projects that created positive impact and benefit. Serve as client champion and project manager. 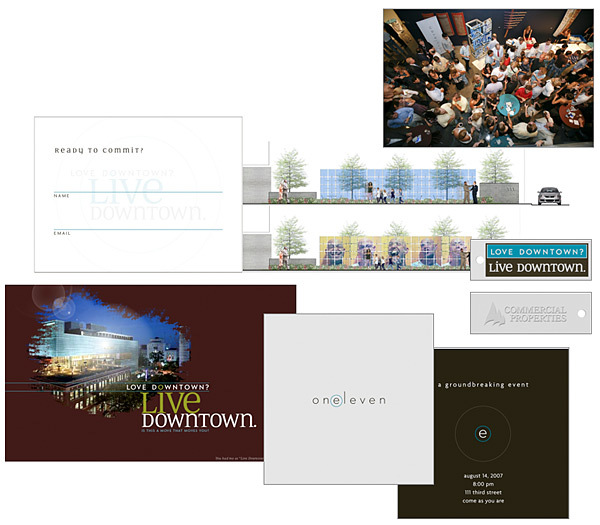 Develop marketing concept and positioning strategy for event theme. Collaborate with design team on all collateral development. Coordinate online promotions and identify cross selling opportunities. Plan and manage event including installation of commissioned sculpture.